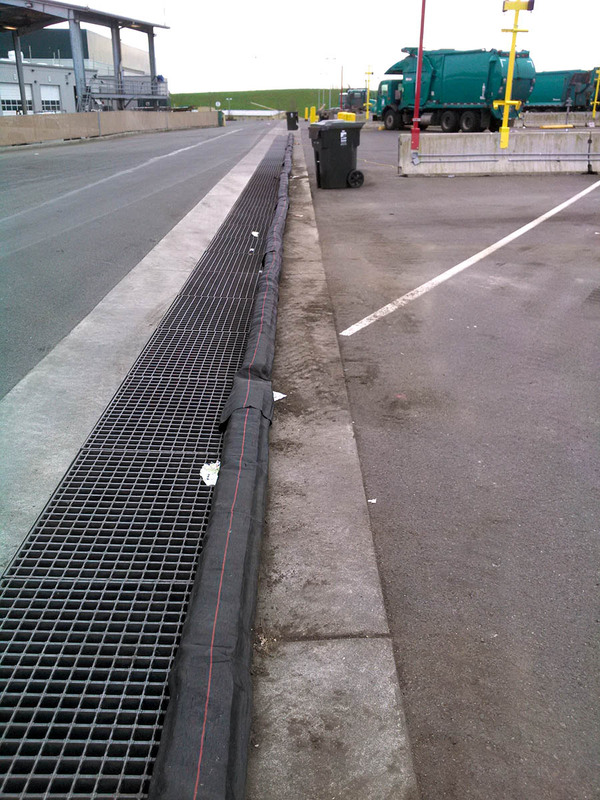 DuraWattle’s durable design is perfect for stockyards or waste management facilities. DuraWattle can withstand semi-trucks and other heavy equipment driving over it regularly for years. The durable design of DuraWattle keeps it functioning with few replacements or repairs necessary. 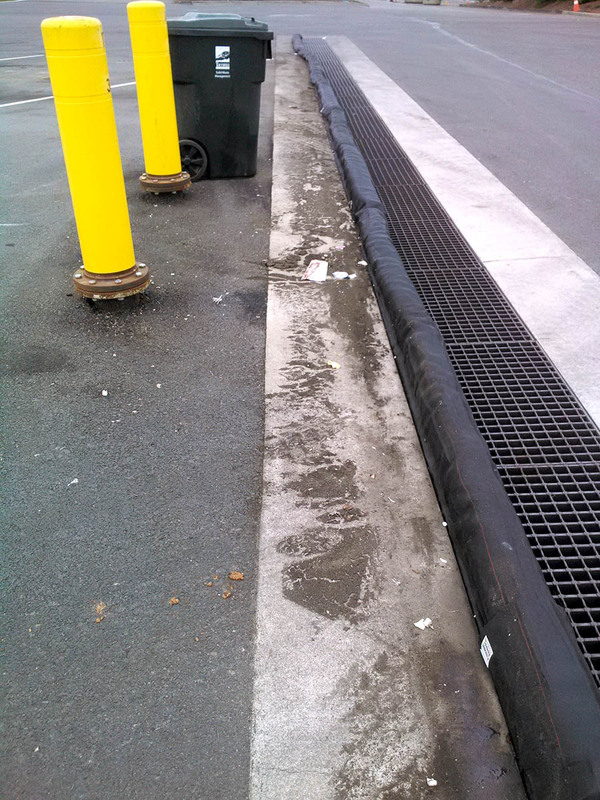 Removing damaged sections and installing new sections is easy on any surface (soil, asphalt, concrete, etc). 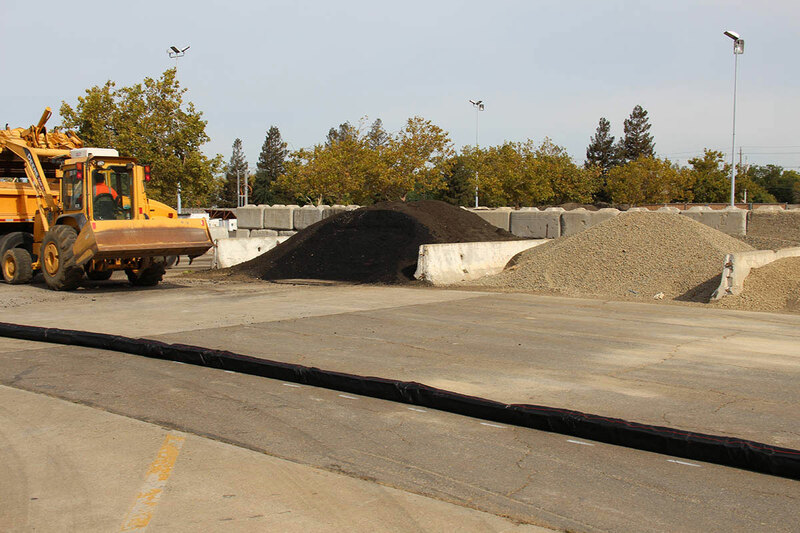 Maintaining effective sediment control is easy with DuraWattle. Simply remove the built-up sediment behind the product with a shovel. DuraWattle can be secured to asphalt or concrete with very little damage to the surface using wood planks or steel beams. See our installation page for more information. 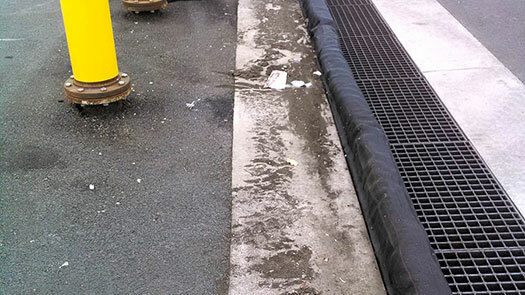 Unlike straw wattles or gravel bags, DuraWattle’s secured tail section filters runoff with no undermining, keeping your facility in compliance. 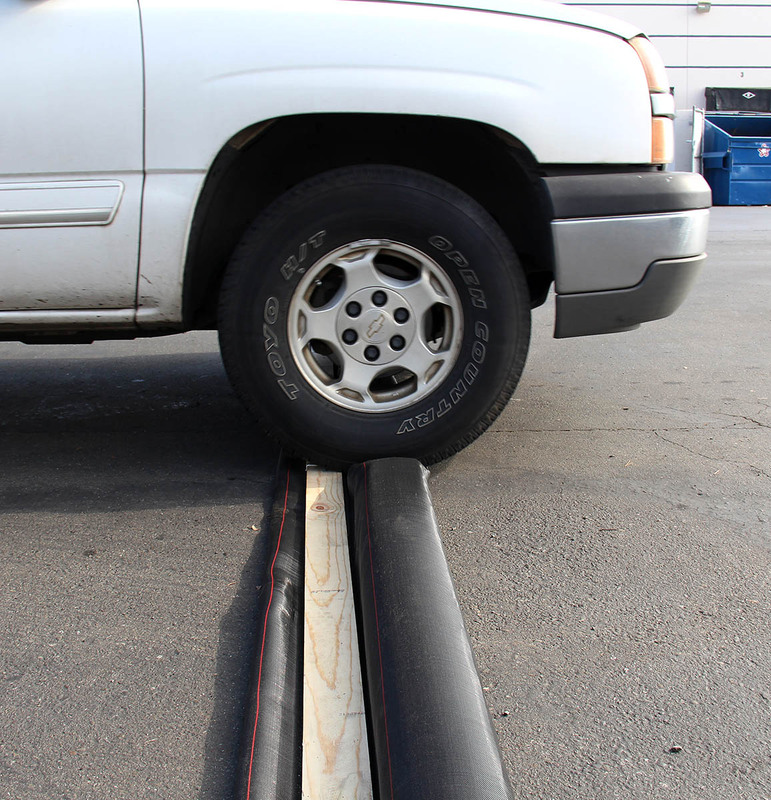 An ASTM test by TRI Environmental installed DuraWattle at the toe of a 3:1 slope and simulated a 10-year rain event. A full summary of the test and results can be found here. DuraWattle is designed to be the most permanent temporary BMP in your tool belt. The UV-resistant monofilament filter fabric tested at 90% resistance at 1000hrs of sunlight. DuraWattle doesn’t absorb water, helping it maintain an effective barrier height. DuraWattle is not designed to absorb/filter hydrocarbons or dissolved metals. 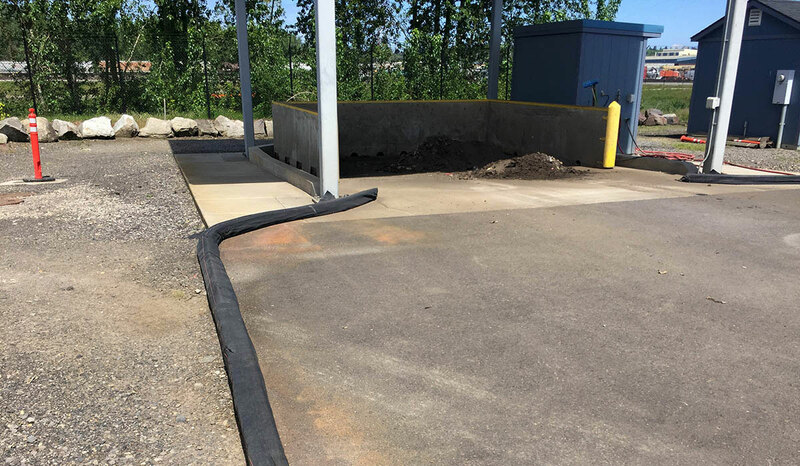 Any applications that require absorbing hydrocarbons or filtering dissolved metals will require additional BMPs to help augment the DuraWattle. Read more about this and other limitations of our product on our How It Works page.